Thales’s new modular Watchkeeper X system reflects a growing need for high-end military-standard Intelligence, Surveillance, Target Acquisition and Reconnaissance (ISTAR) capability to wider markets. This modular Unmanned Aircraft System offers a range of options that can be adapted to specific operational requirements. The versatile system is ideal for providing high-performance ISTAR over a wide range of air, land and maritime scenarios but can now also provide covert, rapid reaction to threats if required. 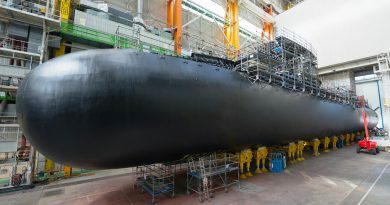 Thales aims to deliver Watchkeeper X through collaboration with local industries and partnerships. This unique approach to unmanned aircrafts systems means that Thales can help to build a truly sovereign capability for our customers. 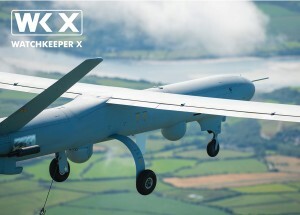 At the heart of Watchkeeper X, remains a fully certified, combat proven, high-performance unmanned aircraft system. Building on this solid foundation, Thales now offers a range of options in sensors, exploitation, mobility and effectors, which can be integrated, upgraded or adapted to make this a fully flexible, modular capability today and in the future. The sensors option builds on the dual payload configuration of the aircraft to offer cameras, radar, electronic surveillance and a fully integrated simultaneous operation. The mobility option offers a range of solutions to provide fixed infrastructure operations or full expeditionary or mobile deployments. The exploitation option pulls on our experience of data management and dissemination to give you the tools such as datalinks to transport information anywhere in the world, protect that information and exploit it to maximum effect. And the effectors option gives the capability to deliver effect directly or indirectly. With its fast deployment, high endurance, flexible payloads and precision strike, Watchkeeper X will respond to the growing need for ISTAR capabilities. Whilst built to the same standards as a manned aircraft, it is highly transportable and its modular design means it can be adapted and upgraded for specific operational requirements. Upgrades can be integrated at any time which means the system is flexible to change along with strategic priorities.